Some thoughts on an astrogeographical typology of monolithic domes. A study on the different aspects of domes and which atmosphere and function of such buildings is supported by the position in different zodiac signs. Monoliths are single massive stones or rocks. 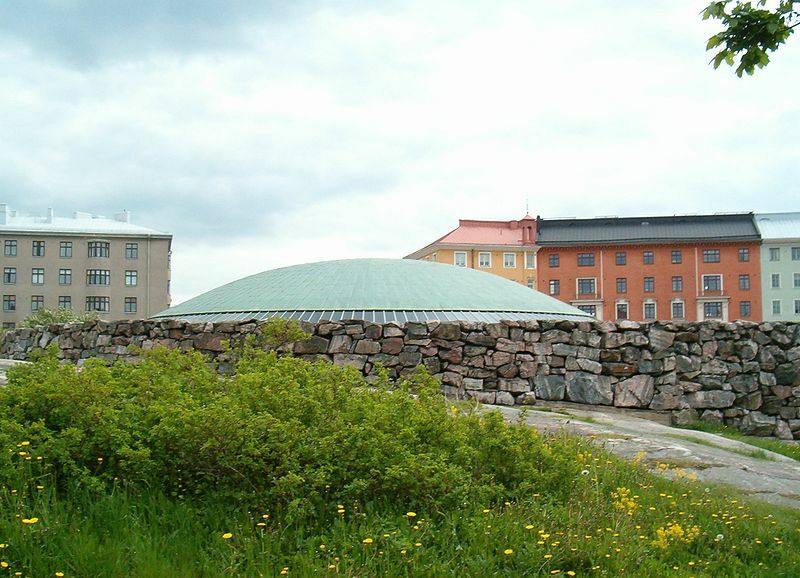 A positive understanding of the wording of “Monolithic Domes” could understand this branding as a wordplay with the dome shaped houses in megalithic aka prehistorical architecture and the aim to construct buildings in such a way that they grow from out of the ground where they stand as singular – shaped formations. The term “monolithic” relates to the male signs esp. Aries the sign of unicellular organisms and the first occurrence of single identities. 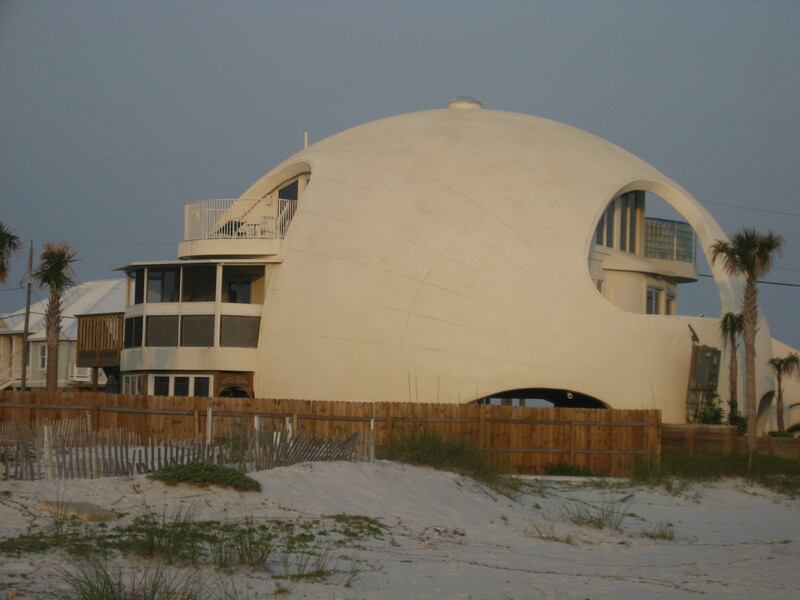 Domes on the other hand – because they are round are to be treateds as female elements of form. Aspects of “monolithic domes” are: homogeneous structures, unicellullar beings, crab-shells, bunkers, hide-aways, containers, abstract solutions, space-stations, earth dwellings, zulu-huts, igloos, bush-houses and much more. Their astrogeographic position explains which aspect and function is supported by the energetical impact and atmosphere of the construction site on which they are placed. I was asked a question; which astrological signs relates to the monolithic domes patented by David B. South? This article gives a summary or astrogeographical perspectives on that question from my astrogeographical field studies. 177 Dome Park Place, Italy, Texas 76651. Astrogeographic position of David B. South´s monolithic dome company in Italy, Texas for morphogenetic field level 3 which describes the atmosphere and energetical topics of the company itself: the company`s grounds have both astrogeographical coordinates in creative, innovative, futuristic earth sign Aquarius the sign of the sky, space ships, inventions, visionaries, abstraction, alternative thinking, reconnection with the fuller potentials and indicator for a holistc approach to technology. That position perfectly describes the directions of innovation behind the monolithic dome concept. But as the sign of skyscapers and of open-air structures Aquarius does not relate to the ideal of closed-up, protective container type of dome nor the clinging to the ground of monolithic buildings. In the polarity betwen the domes of romanic architecture and the tall gothic churches that reach for the sky Aquarius relates to the latter kind of architecture. Taurus has a strong resonance with domes. This can be frequently observed in astrogeographical field study. Taurus is the sign of the earth and of the ground itself and grounding and growing roots are its natural aims. Wether we talk about plants or people Taurus indicates expansion from the ground where the roots and foundation is laid to the surrounding areas. Similar as in Sagittarius staying too close to the ground is not the actual limit and fulfillment of Taurus` dreams. Taurus relates to the dome while Virgo the sign of precautions stands for the purpose of using intelligent technology for self-protection. The National School of Arts in Havanna shows a group of smaller dome buildings located in Cancer. 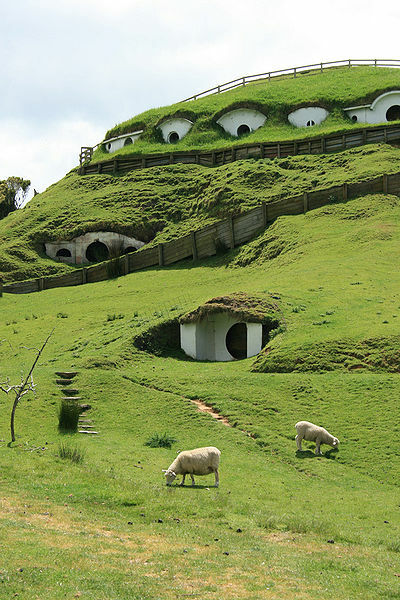 The cave liike mound housing of the Hobbiton village in Matamata, NZ is an example for a megadome under Cancer`s tendency to feel at home and live inside of such sheltered places. The combination with earth sign Virgo the sign of self-protection, ecology and optimal use of the ressources provided by construction site supports the association of an understanding of housing as a situation of being and feeling embedded in the landscape. 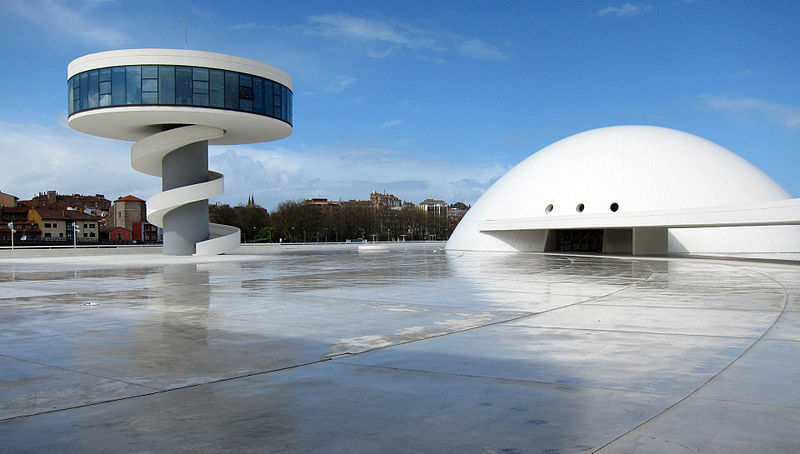 The Dome (Scorpio) and Tower (Aquarius) Ensemble of Oscar Niemeyer International Cultural Centre (opened 2011) provides a fascinating example for the polarity of Scorpio with Aquarius. 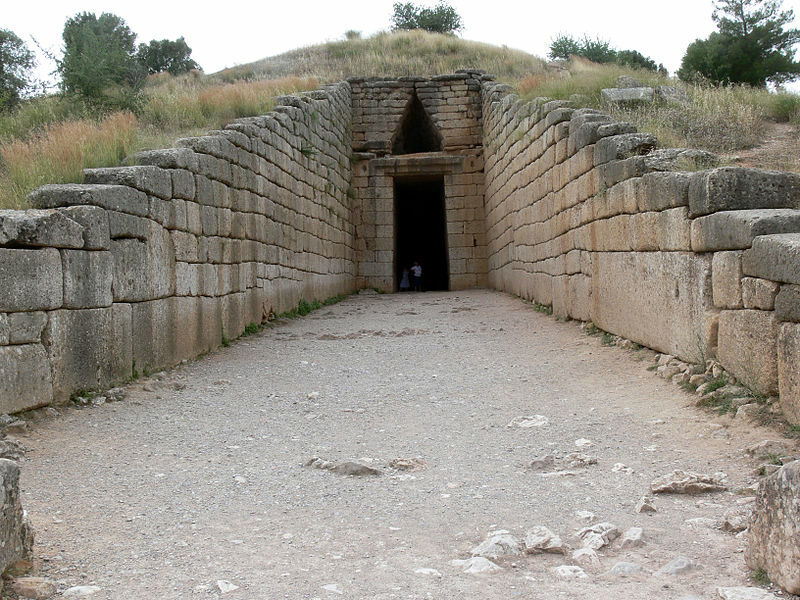 The Treasury of Atreus or Tomb of Agamemnon is an example for a megalithic dome tomb located in Scorpio. Built around 1250 BC it´s 14,5 diameter dome is assumed to have represented the largest dome on the planet for over a 1000 years. Scorpio stands for the acievements of stability of the construction, the tomb and bunker. Aquarius resonates with the aim sof innovation and individuality (extravagance). Geodesic domes are the ideal shape for visual projections of the sky onto the ceiling of buildings. 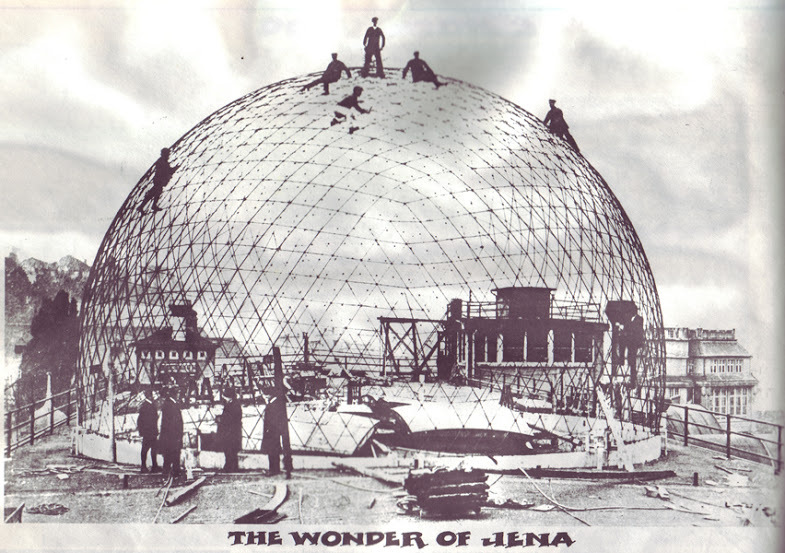 therefore domes have aplayed a major role in nthe construction of larger planetariums since the first dome was built for that purpose at Jena, Germany between 1924-26. The dome was designed as an attempt to establish a first ptolemaeic planetarium. The astrogeographic position in Scorpio reflects the important resonance of this sign with domes. 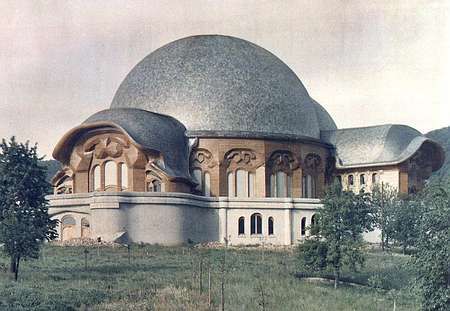 Steiner´s first Goetheanum built between 1913 and 1920 in Dornach, Switzerland was also located in Scorpio. The dome wasn`t meant to represent a helmet – but rather a resonance with the celestial and with the the ideal of a cosmic vision. 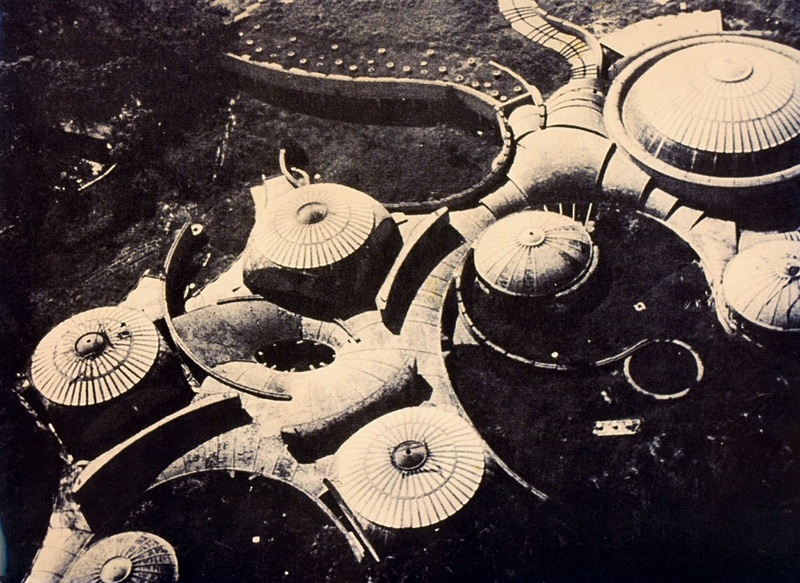 In “monolithic domes” a modernistic or functionalistic use of the term monolithic seems to refers to the concentration of the building on the ground below and on the visualization of a building that appears to either be worked out from the ground itself or else appears to grow from the ground like e.g. a mushroom. Aries is the first sign of the zodiac refelcting the first and most basical experience of physical existence and the competition for survival. It therefore relates to the tendency to seek a homogenuous one dimensional and compact understanding of a building. This unicellular aspect can express itself in rocket-like phallic towers and also in dome like structures. Compare my two articles on the expression Aries in architecture: Characteristic features of phallic shape in Aries and Aries as the Sign of Unicellular Structures: Astrodome & Co..
Temppeliaukio Kirkko in Helsinki, Finland, is a thrilling work of modern architecture and another fascinating example for the reflex of Aries to concentrate on a single, indivdualized center.. Sagittarius is a major resonator for round and semicircled forms in architecture and for the decorative, ornamental function of cuppulae on top of buildings. 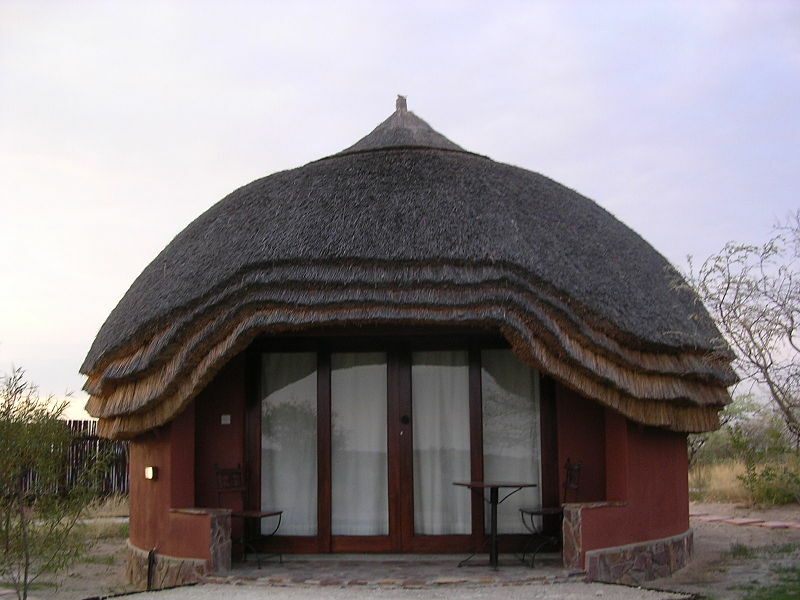 The image shows a modern remake of traditional african hut architecture at Khutse Kalahari Lodge in Botswana. Scorpio is the sign of sculpting and of working buildings and statues out from the ground through stone masonry. It therefore literally relates to monolithic architecture as its first and foremost representative. In addition to that as the sign of the underworld Scorpio also relates to concentrating on the inside of hermetically closed-up buildings and on the stability of their foundations. Compare the examples of sculptures created in situ from the Scorpio as the sign of Sculpting list. The 11000 year old sanctuary of Göbekli Tepe is the oldest and therefore archetypal example of monolithic architecture. 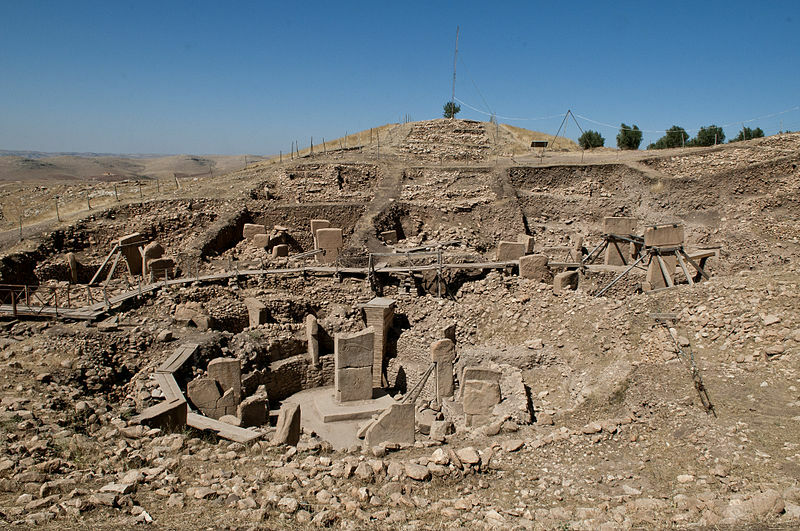 The round structures of Göbekli Tepe were most probably not built as domes. But they are assumed to have had roofs made from wood and or grass at some stage. 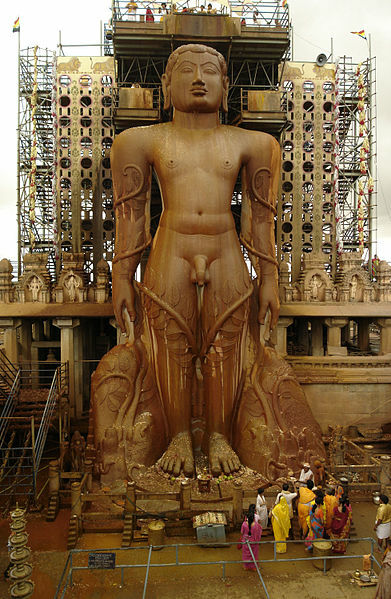 Inaugurated in 981 A.D. the the 18 m tall temple statue of a deity named Sri Gomateshvara on the mountain of Sravanabelagola (“The Monks on the Mountain”) in the Indian state of Karnataka is the largest free standing statue worldwide that was carved from the rock in situ. The astrogeographical position of the Shravanabelagola statue is another clearest proof of the resonance of Scorpio with monolithic architecture.